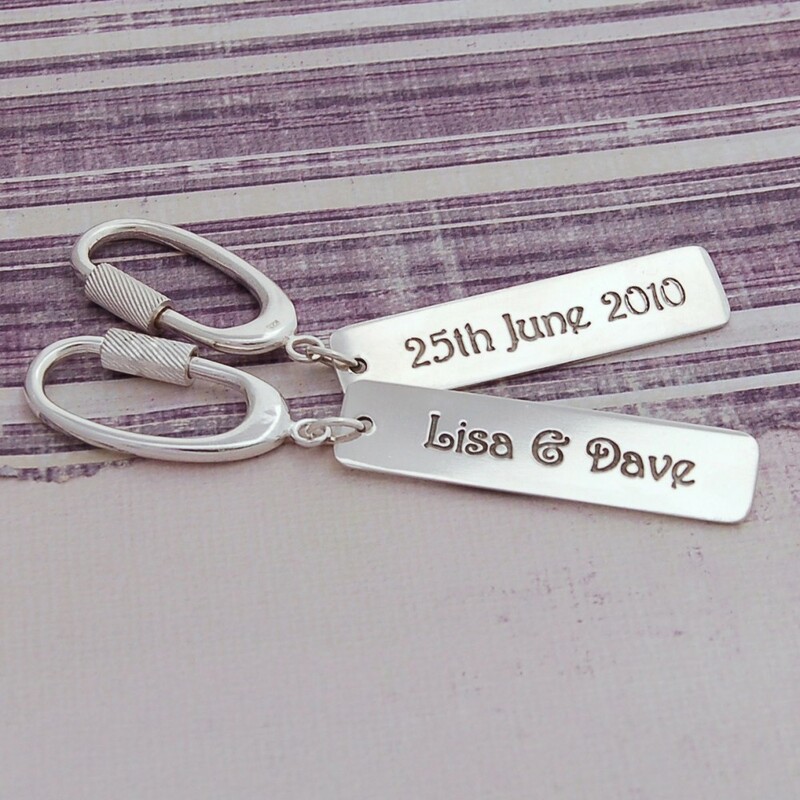 Our handmade personalised silver occasions keyring makes the perfect gift for a family member, friend or that special person in your life to remember those special days such as Birthdays, Christenings, New Baby, Weddings, Anniversary's, Engagements, Passing your Driving Test or even a New House. 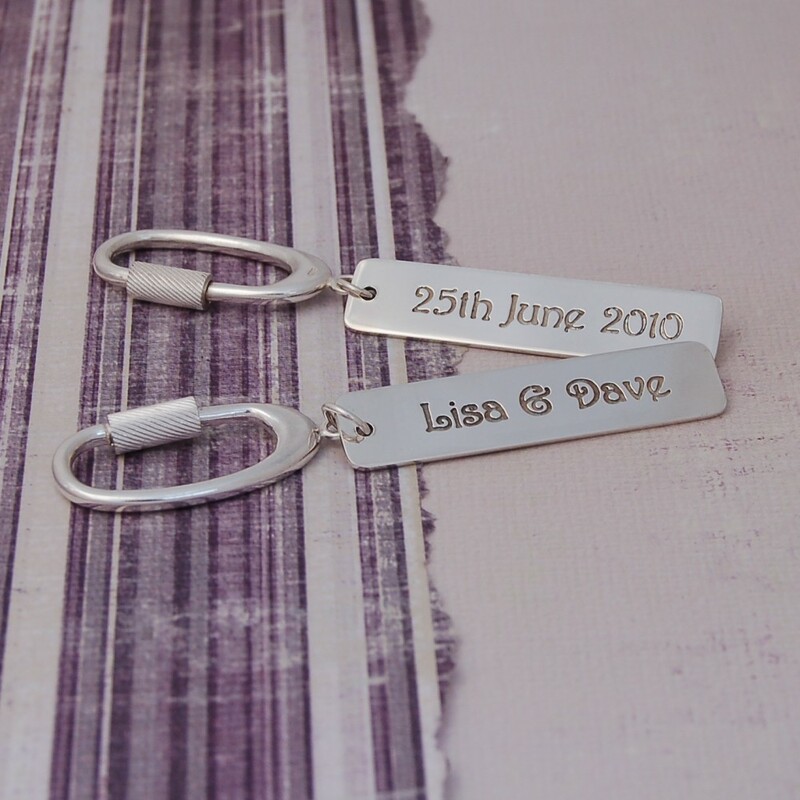 Add your own name/names and a date to the sterling silver tag which hangs from a gorgeous solid sterling silver screw oval shaped keyring. The sterling silver tag will be etched with the name/names on one side and a date of your choice on the other side with a beautifully elegant front. 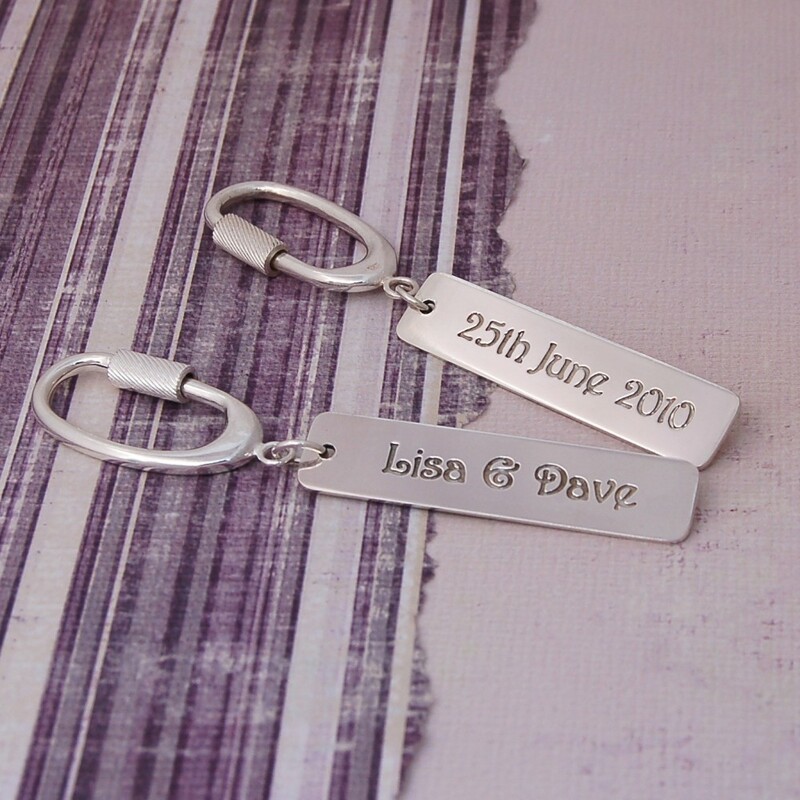 You can have up to a maximum of 17 characters on each side including spaces and if you would like to see an image proof before purchase please feel free to contact us. 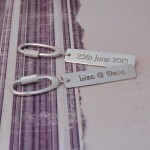 The sterling silver tag measures 5cm long, just over 1cm wide and is a nice sturdy 1.2mm thick. 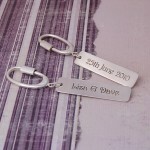 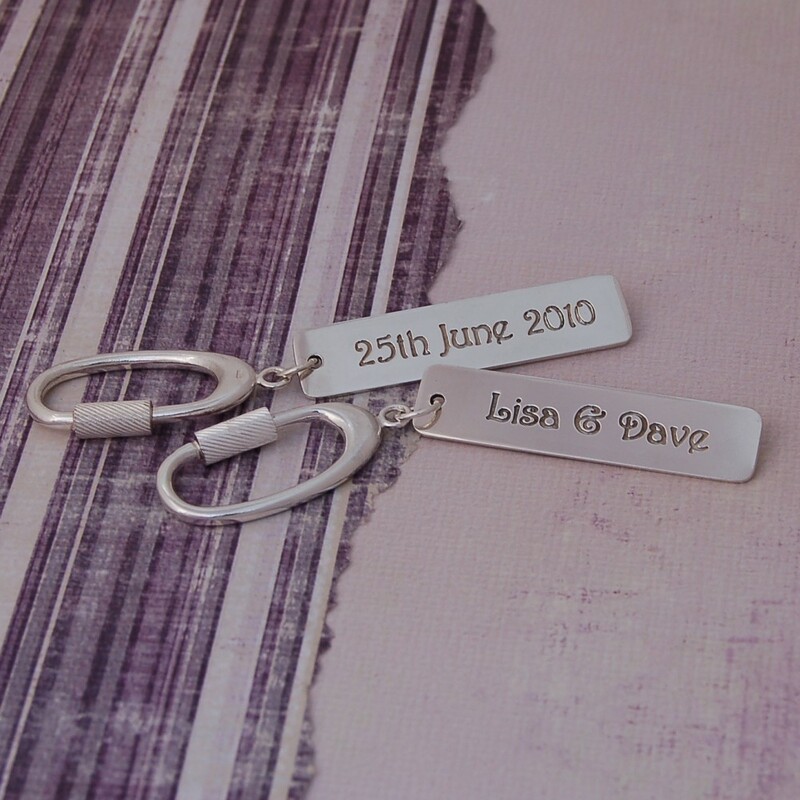 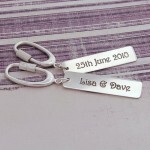 This handmade personalised silver keyring will be made in the UK especially for you.